Since being pregnant, I have been on a real fruit kick. I think I- or maybe I should say, the small human being in my tummy is craving sugar. SUGAR SUGAR SUGAR...and water!! There is nothing like waking up in the middle of the night desperate to slurp water out of the faucet. Isn't pregnancy beautiful?! So fruit is kind of the perfect food that my body wants right now. Sweet with natural sugars and jam packed with juicy goodness. And yes, I'll admit, a little better for me than the sour patch kids and gummy worms which have been finding their way into my candy drawer lately. Yes, I have a candy drawer, all things in moderation right!? I found a new fruit in the store the other day. It's called an Ugli fruit and yes it is ugly. But get past the slightly deformed and browning cover of this book and you will love its SUPER juicy story inside that tastes like a tangerine with a hint of grapefruit thrown in. It's silly good and hard to come by, so I've been stalking the produce section to see when it will come in again. Admittedly I'm beginning to cross the line beyond that of normal grocery store behavior. Does this recipe involve ugli fruit?? Well...no. If you haven't realized by now, this website is pretty much just a stream of thought exercise that includes recipes. Welcome to my head...it's a scary place. Why do we limit fruit to being eaten only by itself or in the presence of yogurt and desserts? Fruit can be more versatile than that! It can twist and bend in ways you might not expect but I promise you will love!! Combine bread crumbs and pesto in a bowl. Salt and pepper the fish, then spread 1 Tbs of Greek Yogurt on each filet and top that with the bread crumb mixture. 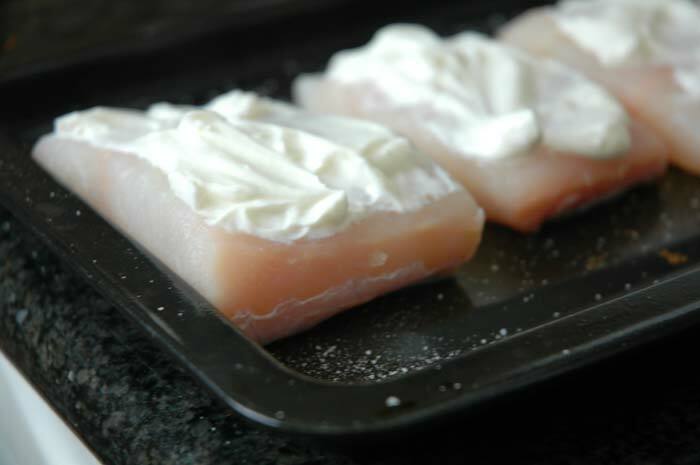 Bake in a 400degree oven for 15-20minutes until fish is cooked through. Squeeze lemon over each filet. Enjoy! Put stock in a small pot and put over low heat. 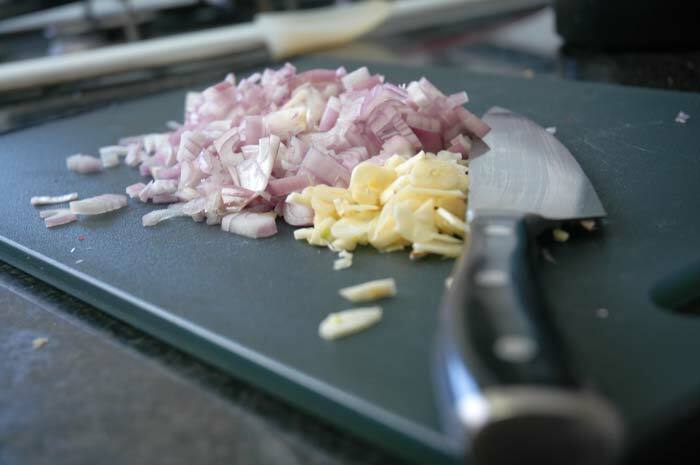 Sauté shallots and garlic in the olive oil and cook until tender, 5-10minutes. Add rice and cook for 3-5minutes. Add wine or ½ cup stock and cook until completely absorbed. Add warmed stock, ½-3/4 cup at a time, waiting until the stock is absorbed before adding more, approx. 20minutes. Stir as often as possible. 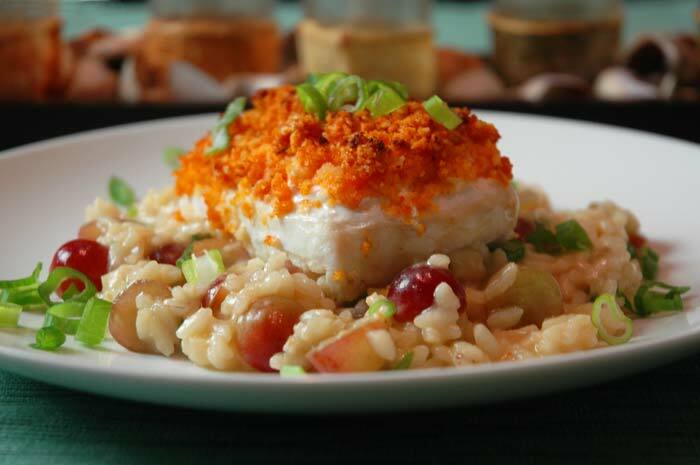 Once rice is tender with a slight bite to it add cheese, salt, scallions and grapes. Serve and enjoy!! You may not use all of the chicken stock, stop when the rice is tender but not mushy. 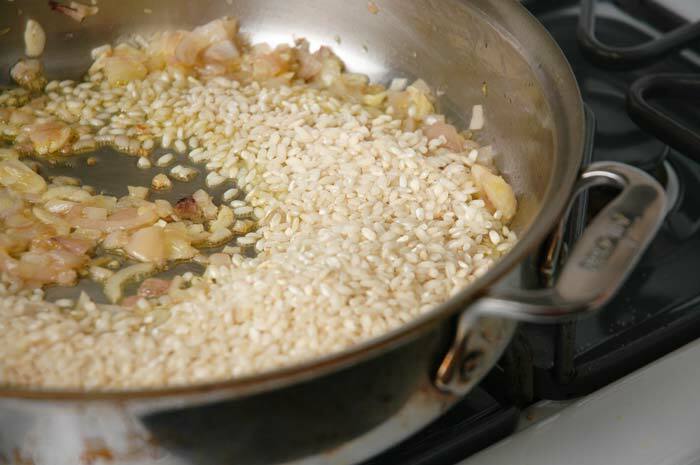 You really have to use Arborio rice for risotto, its starch content gives the risotto creaminess other rices won’t do that. You don’t need to stir constantly like some people will tell you, but try to stir double what you have to, the more you agitate the more creamy it will be.